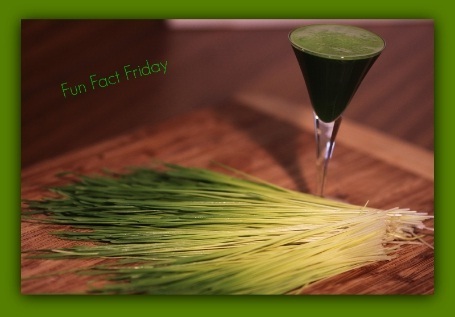 Did you get your shot of wheatgrass today? It is one of the most potent ways to nourish and rejuvenate your cells, repair your DNA, detoxify your body, purify and strengthen your blood and increase your overall vitality. It not only contains 96 of the 115 known elements, it carries the light from the sun into your being with its high concentration of chlorophyll. This “lights” you up from the inside out! It only takes a couple of minutes to stop by the juice bar before you eat your lunch, juice 2 oz of freshly cut wheatgrass and give your body and your spirit a boost! • You can use it on your skin if you have a sunburn, a rash, or a wound and it will promote healing. • You can use it in your eyes if they are tired or weak and it will rejuvenate them. You will want to use an eye cup (we sell them in the store) and dilute it with 50% water. • You can gargle with it if you have a sore throat. 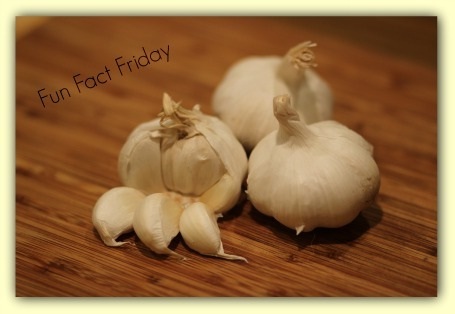 Garlic is considered one of the top anti-aging foods as it has a powerful effect on reducing free radicals. It is also known as a triple threat against infections, offering antibacterial, antiviral and anti-fungal benefits. It helps to reduce cholesterol, protect against cancer and reduce the risk for heart disease. In order to access these properties, use fresh raw garlic. The delicate compound of allicin, responsible for activating these medicinal properties, is easily destroyed once heated or processed. 1. You can add a little bit of garlic to your green juice! 2. You can add some blended garlic to your salad. Just remember 1 spoonful = 10-12 cloves of garlic, so go easy! 3. If your garlic starts to grow shoots or roots, you can enjoy them as they are quite nutritional. Just throw the bulb away at that point. 4. If you put garlic on your skin, it can repel mosquitoes and it you spray it on your garden “babies” it will help keep the pests away. 5. Just keep your dogs and cats away from garlic as it can be toxic to them. Healthy is so fun ! !….